Download Valencia Beauty Blogger Template Template is a premium looking and professionally designed magazine blogger theme. 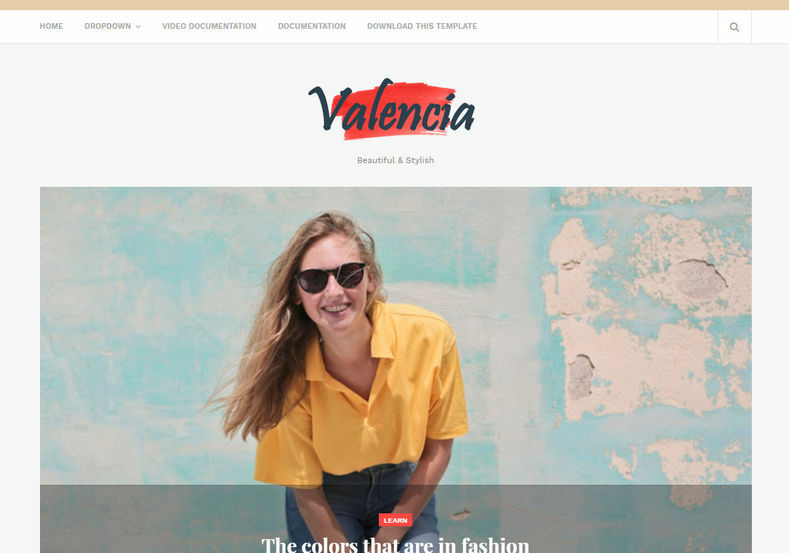 Valencia Beauty Blogger Template is a stunning modern looking mobile ready responsive theme which provides unique and minimal blog with main focus is to showcase your content more beautiful than ever & bring a pleasant reading experience to your readers. It has a notable Featured Boxes so that you can showcase your featured post or products. This is a fully 100% responsive free blogger template design which will enable your audience to check out latest updates from you on their Laptops, Tablets, Smartphones, etc. Download Free Valencia Beauty Blogger Template is a premium looking and professionally designed magazine blogger theme.